Dealing with real estate entails research and analysis that determine a project’s success. 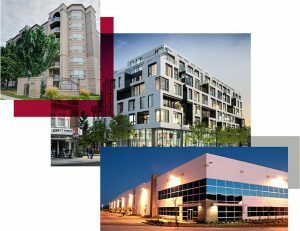 UCS Pigeon-Roy provides proficient and knowledgeable real estate consulting services in Ottawa and other surrounding areas. We work with residential and commercial entities that are in need of sound and beneficial real estate advice. Only experienced and well-versed real estate professionals can provide reliable advice in the industry. For many years, our appraisers have been working with clients who are facing various property issues, such as sale, purchase, mortgage lending, estate planning, capital gains and mortgage default/mortgage insurance, among many others. We also ensure the authorization and credibility of our appraisers as they assist not only individuals but organizations as well. UCS Pigeon-Roy also provides real estate advisory services in Ottawa for the following: asset valuation, lease/market analysis, value allocations, property insurance, land assembly, book values, right-of-way acquisition, building expansions, easements, property exchange, assessment reviews, value in use, portfolio valuation and due diligence. Let us help you with your real estate concern. Below are some of the consulting services we offer. Also known as market analysis, our advisors will look into the current market value of nearby properties to help determine the right price for your estate. We will also recommend the ideal steps to take after. Ownership formation is a thorough real estate procedure that requires expert advice and recommendation. From coordination to construction, we can also assist with your valuations to guide you on the implications and structure of a property’s ownership. It is important to consider the cost of a property as well as the long-term benefits you can reap as an investor. Our real estate consultants in Ottawa can help you weigh the advantages and disadvantages of your potential investment. UCS Pigeon-Roy also provides professional advisory and consulting services that our clients can trust and benefit from. Contact us today to receive informed recommendations on real estate issues.